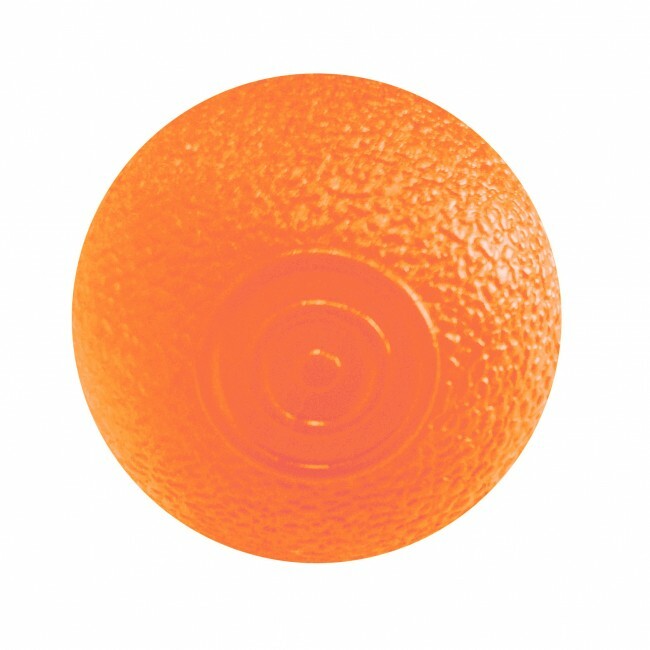 Keep your fingers, hands and forearms supple and strong with Wacces's Hand Therapy Ball! Use it for simple daily exercises to increases flexibility, prevent stiffness, reduces stress and eases muscle tension. 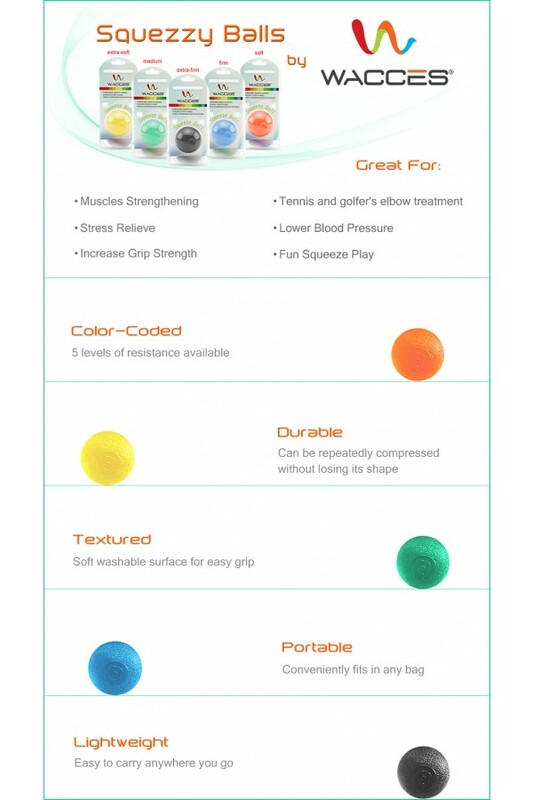 With five different color-coded resistance levels, these Hand Therapy Exercise Balls will provide your fingers, hands and forearms all the strength you'll ever need! Workout Tips: Ensure your hands are clean and dry before use. Use a smooth and steady motion when performing each exercise. Perform exercise routines to the best of your ability without strain. Avoid holding your breath while exercising. Care: Dry Hand Therapy Balls with a towel after use. 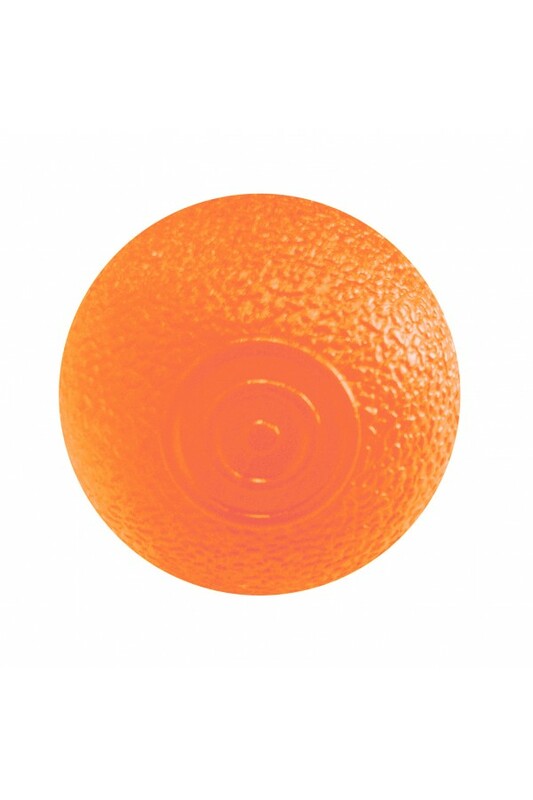 Avoid exposing the Hand Therapy Balls to heat or excessive sunlight. Store in a cool, dry place. 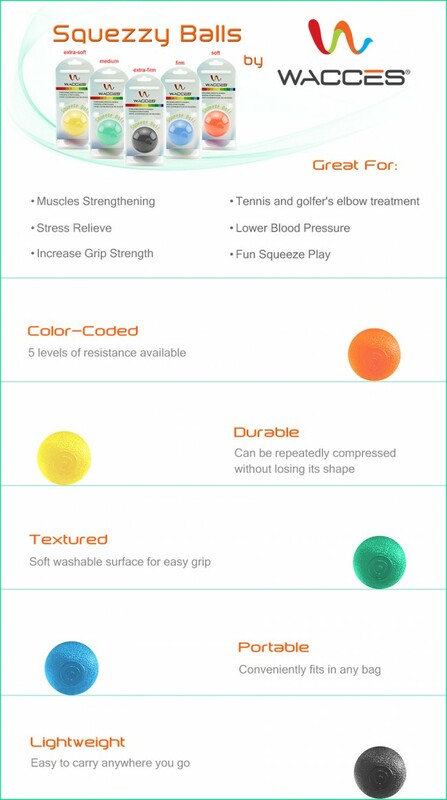 Hand therapy ball great for daily strengthening. Keep your fingers, hands and forearms supple and strong. Easy to customize to individual needs and progression. The diameter of each ball is 2 Inches.